Bank Holiday Monday, being uncharacteristically warm and sunny, E suggested we walk from our house down to the Rose of Lancaster, a Lees pub on the Rochdale Canal and a sometimes haunt of mine. Now the Rose is a managed Lees pub and if I may comment, one of the best run, with a landlord who is ever present and watchful. As my old boss in Scotland all these years ago would likely have said "He runs a good shop." And he does, though this isn't the point of this small post. It is a downhill forty minute stroll from Tandleman Towers and we wandered down passing first JW Lees Brewery where there seemed to be a fair bit of activity going on and then, the second brewery in Middleton in the shape of Sarsons, where the smell of vinegar was fairly strong and I suspect is always so, whether they are brewing or not. We even get the odd whiff of it at our house. We arrived to the good news that the last cask of Lees previous seasonal, was on. Duly ordered, we took a seat in the beer garden and watched the world going by. It was a mixed crowd, some eating, most just having a drink and many families and couples, whiling away a couple of hours in the pleasant sunshine even though the surroundings are urban rather than rural. Despite the canal being right underneath the beer garden and rolling hills and open countryside behind, the main views are of the Middleton to Oldham road, but it is still a decent spot and the pleasant scene was one we left with a bit of reluctance, especially as the beer was in top form. We hopped down the steps behind the pub and turned right along the towpath, taking us by way of a further forty minute walk, to our next destination, the Ship Inn, also a Lees house and one of my regular pubs, where I know nearly everyone. The walk along a fairly quiet towpath is marred only by two things in what is lovely countryside. One is cyclists who whizz along without warning bells, their presence only felt at the last moment when they are behind you and the other, the rather intrusive pylons along the route. But these are minor points. The walk, particularly in good weather is truly lovely and recommended. The original engineering has stood the test of time and enhances the open countryside. The Ship is a pub I've mentioned before. I often drink Bohemia Regent in here, particularly when the weather is warm. Many of the locals and visitors sat canalside, though that requires drinking out of plastic for safety reasons, or crammed into the tiny courtyard where glass is permitted. It was pretty busy, as was the Rose. That's good. So if you are ever in this area, both pubs are recommended, but do walk along the canal between them. The Rochdale Canal was started in 1798, so is of course pre Victorian by quite some time, though somehow it seems Victorian. The canal was completed before her reign. Where are the nice photos then you ask? I nearly fell in off a lock while taking one. It put me off. So go and find out for yourself! 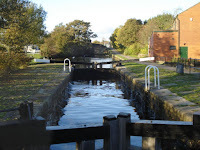 The photo shown is from Pennine Waterways and shows the Ship on the right. Its by no means just a London thing. Wherever CAMRA is, then warm beer follows. Go to any CAMRA summer beer festival, the beer is always served as warm as day old piss. You wonder why its the foreign beer bar that always runs out first? Deny it all you like, reply with some pointless childish insult if that is really the best you can think of, but CAMRA have done more than anyone over the years to damage the quality of cask ale. Now clearly much of that is nonsense, but while the writer doesn't expand his "thoughts", is there just a smidgen of what might pass for a reasonable comment there? Well, let's take his point about summer beer festivals. My branch simply wouldn't run one for the very reasons stated. That is, the danger of beer being as described. Fortunately in Greater Manchester we have always had a heightened view of cask conditioning and beer presentation. We have strengthened that further, with our own cellar experts, who have developed cooling suited to the needs of smaller festivals. 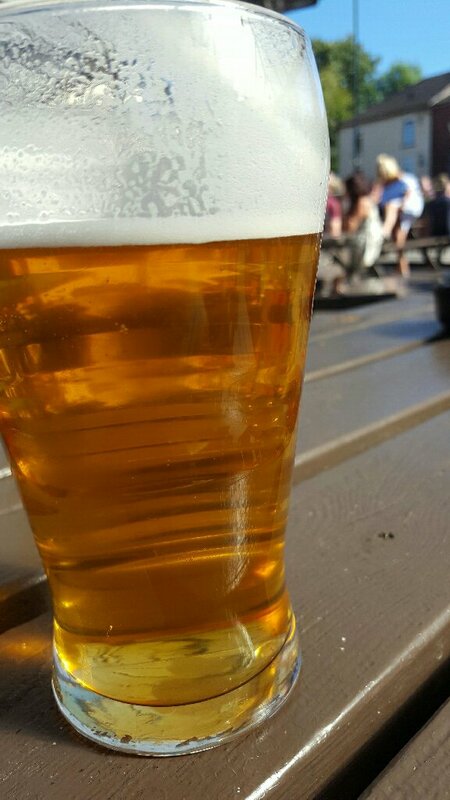 It may not be a complete answer, but I must agree that uncooled beer, in the height of summer is a very unwise business, could bring CAMRA into disrepute and my advice to CAMRA Festivals is "Unless you can guarantee the quality of the beer - don't do it." The reputational risk is just not worth it. This advice should be followed not just by CAMRA beer festivals, but by all that sell real ale. If you can't provide top quality cask beer, just don't do it. On a second point, Why do so many pubs insist in having a large number of below par beers on sale rather than two or three in top condition? Has CAMRA unwittingly made them think it is the only way to get in the Good Beer Guide? There is some evidence to suggest that might be the case, with the number of single or two beer pubs in the GBG diminishing severely. The current Good Beer Guide, somewhat astonishingly, shows only two such pubs out of 21 pages in Greater Manchester's entries. And even though we know in this area how to look after beer, can this really be wise? Of course I know that sensible pubs will cut their ranges down at quiet periods, but are we in CAMRA encouraging, or at least not discouraging enough, this quantity over quality concern? On a brief look at this area, it kind of looks like it. (The number of 3 beer pubs isn't that high either with "Beer range varies" being very common). In the continual search for quality at the point of dispense, things such as cellar skills, venting practice, temperature and more are all at the top of the list, but when CAMRA looks to implement my motion bringing the quality of beer at the point of dispense into its Key Camapaigns, I reckon we need to include strong advice to pubs that too many beers on at the wrong time is just as bad for beer quality as some other more obvious faults. Although he is unable to express it without giving offence, it may be that py has a case to argue. I know from my own experience that persuading landlords of this isn't easy though and yes, I think sometimes the triumph of choice over quality can be partially at least, placed at the door of CAMRA members voting for Good Beer Guide entries. There needs to be sufficient process safeguards to challenge this at meetings, though of course, a lot of this stems from the pubs presenting too many beers in the first place. For a person that loves pubs as much as I do there can be few more pleasurable reads than a well written book about pubs, especially when the book is illustrated with some of the finest pub photography I have seen to date. The Pub, by well known author Pete Brown, is a stunningly well written and erudite excursion into the pub as a defining British icon, and with a little history and context thrown in, it draws you into the simple fact that a pub is not just a place to sell beer, wines and spirits, but in Pete's own words, "a cultural institution". 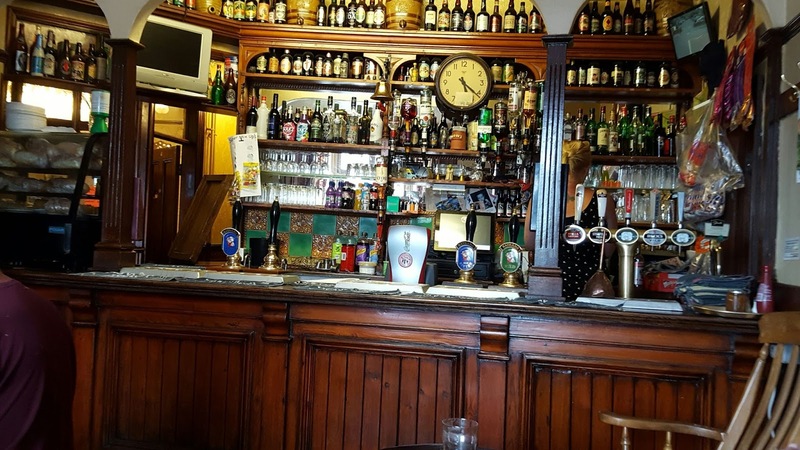 Pete describes the book as a "personal journey" and while the book only mentions some 350 out of the 50,000 or so pubs in the country, you really do get the feel for why the pub, to many, is regarded with warmth, affection and a probably a touch of living nostalgia. Now this isn't a small volume. It is coffee table sized, but the size is used to show in both words and photos, what Pete is driving at when he talks about the various pubs he has chosen for this book. 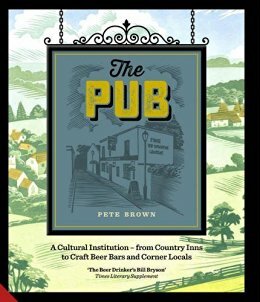 The book has a short introduction from Pete himself, pointing out that your own favourite pub may well be absent and that he has sought to represent the broad diversity and character of pubs, so if yours isn't included, he is sorry, but he had to be firm in achieving something manageable. This makes sense. Instead what you will find is a wonderfully representative selection of pubs and a neat and sensible set of chapters, dividing the pub into types such as historic pubs; architecturally interesting pubs; coastal pubs; railway pubs and more. Here is the beauty of writing about pubs - you can use your own categories and chop it up in any way you want - and if written well - as this book is - you can be both personal and at the same time speak the familiar language of the pub buff, as well as reaching out to those who simply like to go to pubs on occasion. Perhaps though the hardest thing of all is to describe in a way that can be easily understood, what pub culture is. Pete takes a bit of time over this and rightly so, for it is the culture of the British pub that makes it what it is. 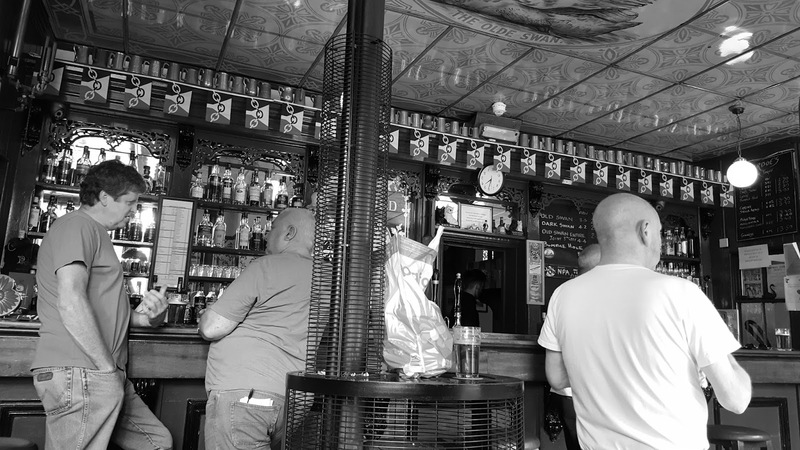 The backdrop may be its history or its architecture, but it is what goes on inside that makes it a pub. Here Pete excels. He "gets" pubs - and not everyone does - and this is reflected in his writing. He identifies - correctly in my view - that it is that most difficult to pin down aspect, atmosphere that makes the pub what it is and his pubs are chosen to reflect that. No easy task that, but I think it fair to say that Pete has a pretty good bash at it, repeatedly (in a good way and with a sense of astonishment and wonder), describing local characters and landlords in a way that inspires you want to go and experience them yourself. If you don't believe that, read the description of the scene in either the Snowdrop in Lewes or the Hatchet Inn in Andover. Or any of it really. You can just dip in and out and will find something to love, or a pub you make a mental note to visit sometime in the future. Following his personal sub-division of pub types, Pete then does a run around the country by region. He astutely recognises that what the British pub is really like "often depends on which part of Britain you are in". 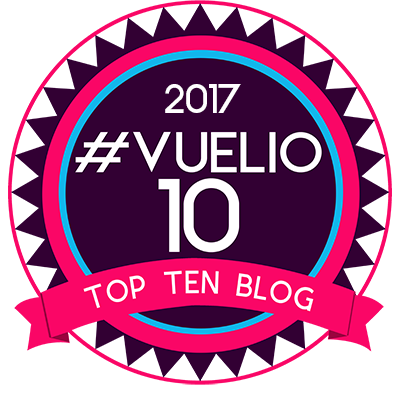 Each area is given a bit of a pen picture and is then exemplified by picking a number of great pubs to talk about in detail and giving other pubs shorter descriptions under the "Also Try" banner. It works. London gets a large chunk of course, possibly reflecting the author's place of residence, though I did feel that the sections on Scotland and Wales could have been beefed up a little. But these are minor points. Pete Brown's use of simple words, elegantly put and the clear enthusiasm for his subject, together with his sharp and witty observations, make this a book I recommend unreservedly. The superb photography is a wonderful bonus. And for those interested in such things, Pete Brown is most assuredly a Pub Man. You don't hear that any more when you buy real ale do you? If you get a horrible warm, murky, flat pint and complain, nobody says that in response nowadays. Education of barstaff precludes it, that's the common position isn't it? Or do they? @tandleman "its cask its meant to be like that" We changed all that nonsense, now it is "craft". Bad beer is always bad beer! So, @Erlangernick and I are in JDW's Willow Walk in Victoria, London and get pints (or was it halves - we'd been drinking) as above. I complain and get the classic "It's real ale - it's meant to be like that." I insist it is certainly not meant to be like that and we have the drinks exchanged for something slightly less poor. In beer, like life, all things are relative. 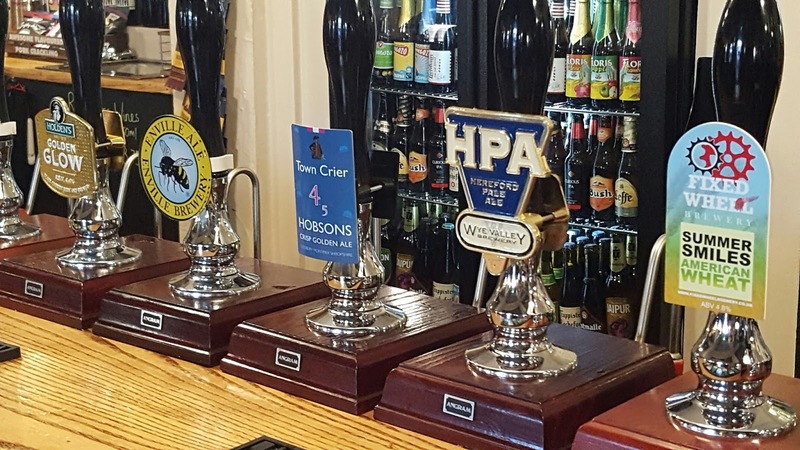 This is why I moved a motion that CAMRA must include improving the quality of cask beer at the point of dispense as one of its key objectives. The motion was passed and it is time I think to find out what is being done about putting this motion into action. For those that still think the fight for real ale is won, think again. 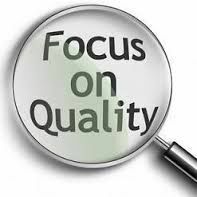 It won't be until quality is assured and we should complain to make that more likely. What is it with London and warm beer? Even lager there is usually just a bit too warm. Is this some kind of odd sub culture, or are they just too mean to turn the cellar cooling up / have it maintained / upgraded? London has always had warmish weather. This should be taken into account surely and is by some, but not nearly enough. An extreme example. On a visit to the CAMRA North London pub of the Year the Bree Louise, again with Nick, his beer - as measured by him I must emphasise but I can confirm it - was an astonishing 24.8C. WTF? No visit to the West Midlands is complete without a visit to Ma Pardoes, or, as it is really called, the Old Swan Inn. Set on a busy main road in Netherton, it is quite a wonder, being one of the original remaining four home brew pubs when CAMRA was formed. Again I have been quite a few times, firstly on one of the Mystery Coach trips run by a noted CAMRA member in Manchester, Ken Birch aka Ben Chestnut. Now why these trips were down as "mystery" I don't know, as we always ended up in the Bull and Bladder and Ma Pardoes. Then the legendary Mrs P was alive and kicking, but alas no longer so. For those interested in the history of the pub, there is as complete a go at it as you are likely to come across - here. The main difference between these far off days and now is that the pub was extended in 1986 and now has somewhat oddly, two front doors and a set of rambling rooms behind the famous bar where a huge cast iron stove, now behind protective mesh still dominates, along with the stunningly grand ceiling with its swan motif. The large snug on the left, complete with piano, would be a splendid place to take someone else's wife for a drink, as indeed would be any of this maze of marvellously old fashioned rooms. Wandering around it, with its faded Victorian and Edwardian grandeur made you want to settle in and wait for the sing song. Atmosphere in buckets and you just can't manufacture that. It comes through time and people. We sat in the old main bar and listened to the thick Black Country accents bantering with each other. The beer is still brewed here, but perhaps doesn't reach the heights of Holden's or Batham's, though Ma Pardoe's Original at 3.5% is still worth drinking and the pub worth visiting for its own unique feel. No particular warm welcome here, but an easy acceptance of us wandering round looking at the various rooms. They must be used to it. We only stayed for one here, but I still recommend it. Back in the day when The Little Pub Company was still going, we used to visit here and the Vines for pre or post lunch pints when venturing out to eat in one of their pubs with friends from the area. Who can forget the Cradley Sausage Works, Desperate Dan Pie Factory or Mad O'Rourkes? Not me. They had a motto on all their receipts. "Please drink harder and faster" Wouldn't be allowed now. Remarkably, the Old Swan is owned by Punch Taverns. In Stourbridge for two nights, we stayed in the recently built - within the last two or three years that is - Premier Inn. This proved to be very handy for the Town Centre, just across the busy dual carriageway, past the Bus/Rail Interchange and you were there. The walk popped you out via an underpass beside the Red House. According to WhatPub this was formerly a Last Orders pub. Now these, on the whole, and I don't think I'm being unfair here, tend to be aimed at the lower end of the market. But this one had been done up very nicely, making the most of a modern design with a good mix of tables, high poseur tables and bench seating and seemed to all of us like a decent place to drink. A good range of beer from the wicket from the likes of Three Tuns, Holdens, Wye Valley and Enville among others didn't make us at all inclined to leave either -and we found out - a discount for CAMRA members. For those requiring snacks, there were many exotics, including six different varieties of pork scratchings. It does have one little trick for the unwary of being up a small set of steps, but that kind of thing is only likely to trip you up on the way out. Now this was a Wednesday evening, usually a day of the dead for pubs, but a lively crowd stood outside about eight o'clock, supping ale and chatting happily. It was relatively quiet when we entered and once again we were greeted with great enthusiasm from the lone barmaid. This smashing service from smart young women seems to be a Black Country thing and, you know, it is such a pleasure to see. We rapidly established her name was Frankie and as the pub got busier and busier, she flew up and down serving all speedily and with great charm. 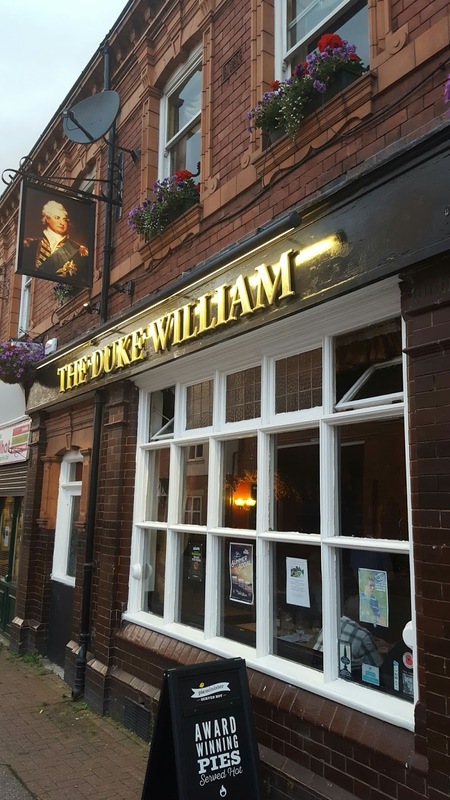 We wandered on, as you do in a strange place, to the Duke William, which was another beautiful old boozer, owned and run by Craddocks Brewery, a new one on me. This was a great place which we all liked enormously. A mixed crowd and an unspoilt interior charmed us all - as did the smashing barstaff - all female - who again couldn't have been nicer. Alas though, into each life a little rain must fall. None of us cared for the beer that much. Well, you can't have everything, but I'd go back in a heartbeat for the pub itself and maybe we just caught it on an off day. I'd like to think so. On the way back to the hotel, we passed the Red House once more. The crowd had grown, but many of the same stalwarts we'd passed over two hours previously were still there. Naturally we nipped in for a nightcap. It turned out that the cause of the crowd was a leaving do for someone or other, as revealed by the heroic Frankie, still controlling things brilliantly. I think it was still open when we left around midnight. Make hay while the sun shines. The beer was excellent too and as we wended our way to breakfast the next day, Frankie was there again, giving us a cheery wave as we passed. What a girl. We did call in again on the Thursday for one and it was pretty dead. Our hostess must have been glad of the rest. We ended up in the Waggon and Horses where we were well looked after in a tremendous pub by, you've probably guessed it, a couple of very nice lasses. As I said, they seem to specialise in it in the Black Country. 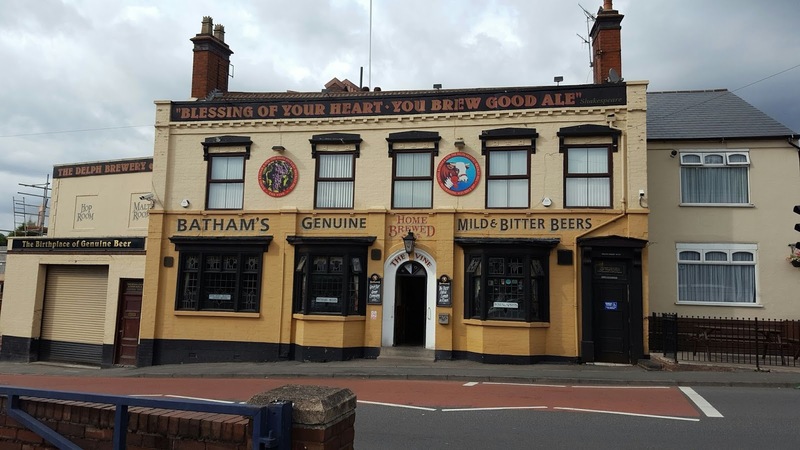 The home of Batham's Brewery, officially the Vine, but known by many by its alternative name as above, is a fine place indeed. The interior has four rooms linked by a central corridor, with brown glazed tiles on the walls and a serving hatch to service the various different spaces. 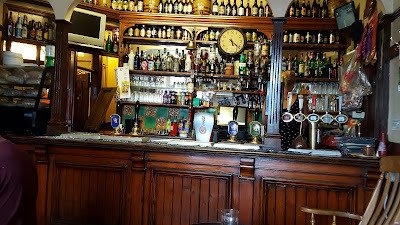 Like many, when there, I tend to be in one of the rooms off the main corridor, as indeed, most visitors do, but it is the inner sanctum, the public bar (though I don't actually know how they refer to it locally) that really is the prize spot. But wait a minute. This isn't a big room and there is pub etiquette to think of. You don't just march in to a place like this and plonk yourself down. Locals use this space and yes, they have a right to some respect and thus it is, that although I'd poked my head round the door more than once, I don't recall ever sitting there for a couple of pints. Until now. We called in on a Thursday just before teatime and the public bar was nearly empty. We were in the sweet spot after which the lunchtime mob has long gone and the teatime regulars had scarcely started to drift in. There was probably five or six within and with us four, ten at most. The bar wouldn't comfortably hold more than two and a half times that, so you see my point I hope. It looked reasonable to do so, so we entered the holy of holies and sat in the empty seats below the main bow window. We were given a friendly welcome by the (once again excellent barmaid - a Black Country speciality it seems - and nods from the locals. So far so good. 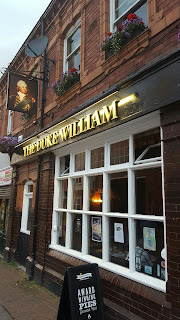 The pub itself has a history that can easily be discerned by our ubiquitous friend, Google, but of course I will mention its wonderful exterior, for this is that rarest of beasts, a pub that looks just as good outside as it is splendid inside. That's a lot rarer than you might think. We parked in the handy car park opposite which gives a great view of the pub. While the others darted inside, I paused to observe and take in the place. 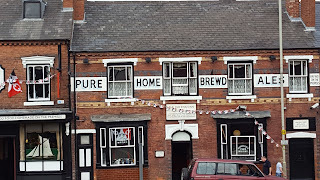 It is a remarkably handsome building, two tone yellow and cream in colour, dark wood windows and its famous slogan painted at roof level in block capitals, "BLESSING OF YOUR HEART - YOU BREW GOOD ALE". 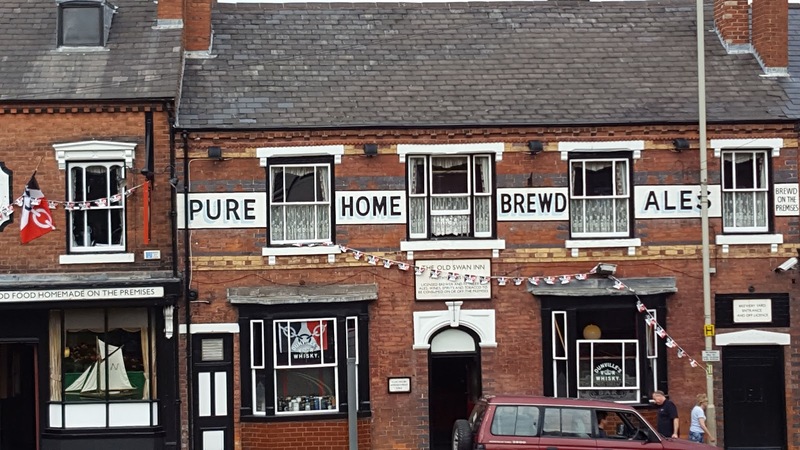 Adjacent and attached is the brewery, with the proud words, "The Birthplace of Genuine Beer". No false modesty here. They are proud of their pub, their brewery and their beer. And so they ought to be. Batham's is a small company, with ten houses. That seems to suit them, though they do have a small free trade of around 20 accounts. I recommend having a look at the brewery's website which allows you to download, free of charge, The History of Batham's Black Country Brewery, a fascinating read, with many old photos. Back in the public bar, we ordered pints of bitter and savoured this most traditional of brews, with its slightly sweet opening and bitter finish. Too good to have just one, we had another then left them to it. The locals would be in soon. Batham's is one of a very few breweries that still deliver beer in hogsheads of 54 Imperial gallons.